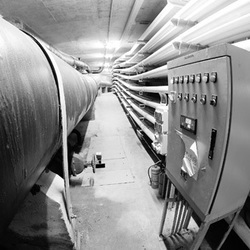 China is planning to have established a network of urban tunnels to hold pipelines for public utilities ranging from electricity to telecommunications to water by 2020. 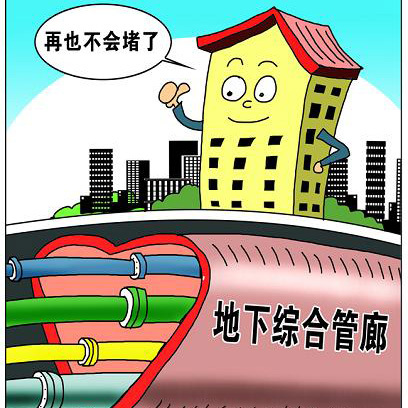 The nationwide project will be started soon, and it is likely to be written into China's 13th Five-Year Plan (2016-2020) for development, which is set to be discussed in October, Vice Minister of Housing and Urban-Rural Development (MHURD) Lu Kehua said on Friday. Authorities will try to attract private investment for the network's construction and operation,Lu said. 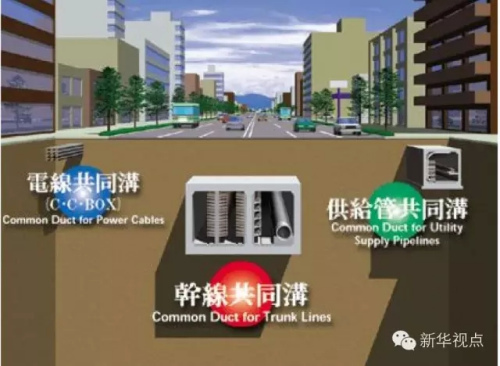 Better urban underground infrastructure will stimulate investment, improve supply of public goods and drive urbanization, according to a statement released after an executive meeting of the State Council presided over by Premier Li Keqiang on Wednesday. The State Council called for a number of tunnels to be opened nationwide as demonstrations,and for overhead power lines to be replaced by underground cables. The MHURD and the Ministry of Finance have jointly determined 10 pilot cities, including northeastern Shenyang and Harbin, to bore almost 400 km of tunnels within three years. Total investment will reach 35.1 billion yuan ($5.74 billion). According to the MHURD, 69 cities have started boring the required tunnels this year, with combined length reaching approximately 1,000 km with a total investment of around 88 billion yuan .